This jumpsuit has been one of my favorites since I found it last March when I was shopping for a girls trip to Nashville. I have only worn it maybe four times so far, but that's only because it's a bit of a statement piece and I feel like it is very memorable. I love wearing jumpsuits this time of year because they are the perfect layering piece and a great one really makes you stand out. 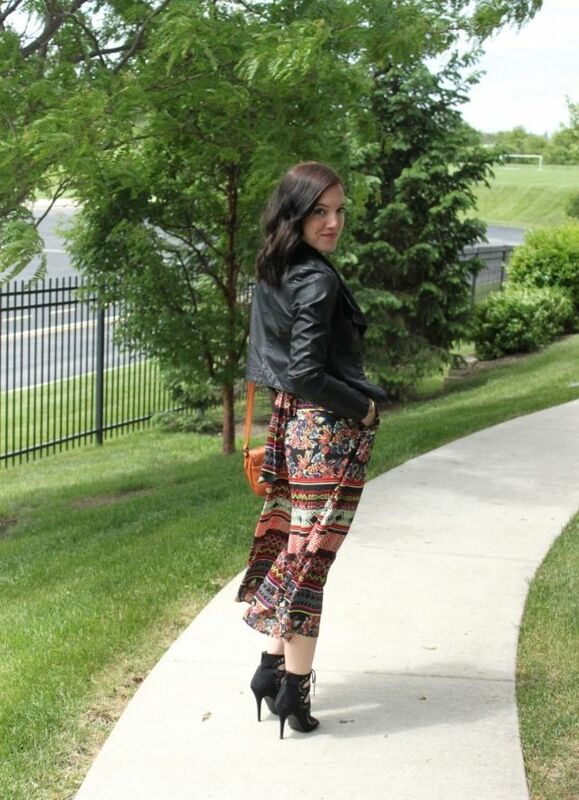 I tried to mix up the styling a bit by adding boho gold jewelry, strapy black heels, and a brown cross-body bag. 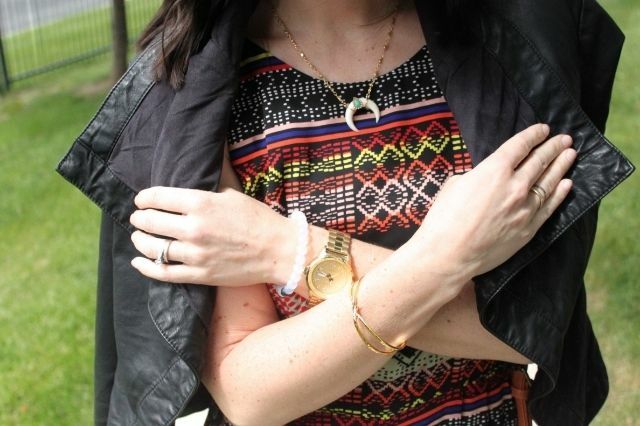 To finish off my look for a mid-day weekend party, I added my faux leather drape jacket. This jacket makes any outfit better, no? I brushed out my curls to give my hair more of a retro feel and kept the part very uneven. Just let you hair fall in it's natural pattern ladies, you will be surprised and happy with the results!